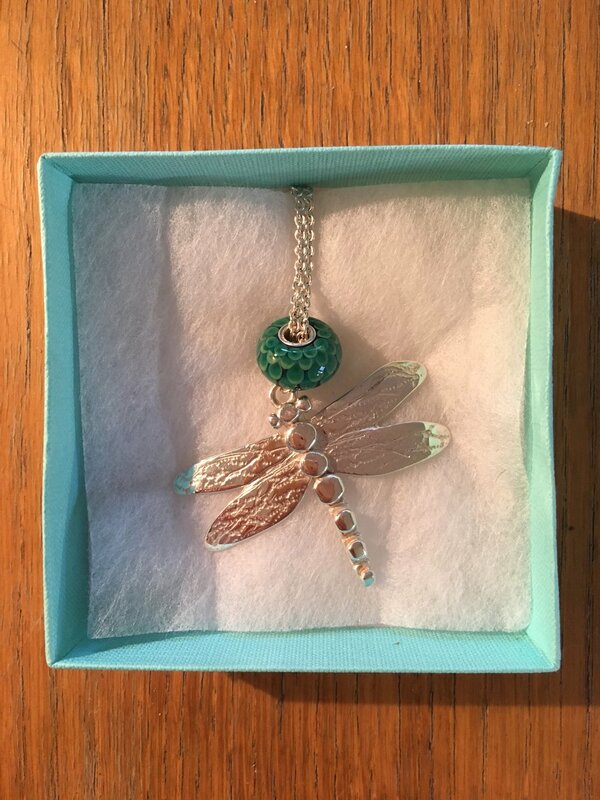 This dragonfly is made from solid sterling silver, weighs a full 10g and measures 5.5cm across. 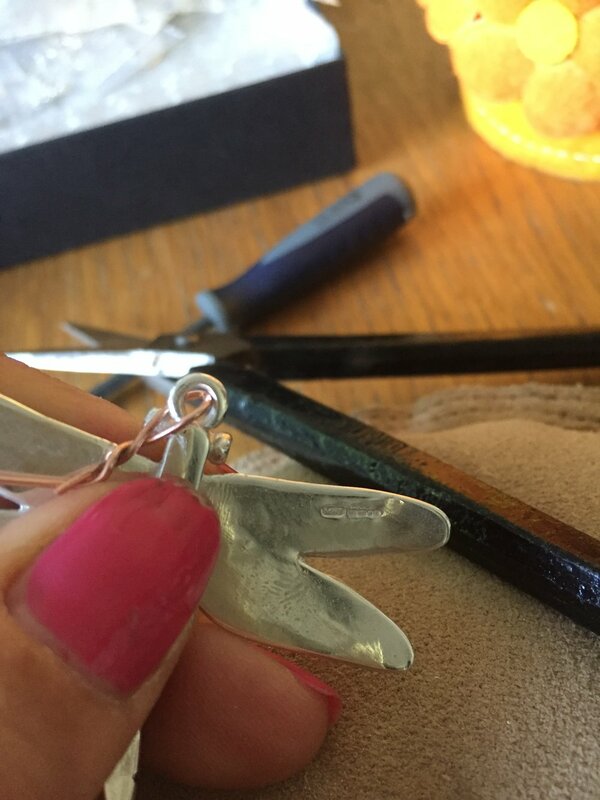 The piece is fully hallmarked by the Goldsmiths Assay Office in London and has my unique makers mark MHJ (Meadowhawk Jewellery) stamped into the back of its wing. I like to wear mine either as a showpiece for my charm beads, or on his own. It looks stunning either way. 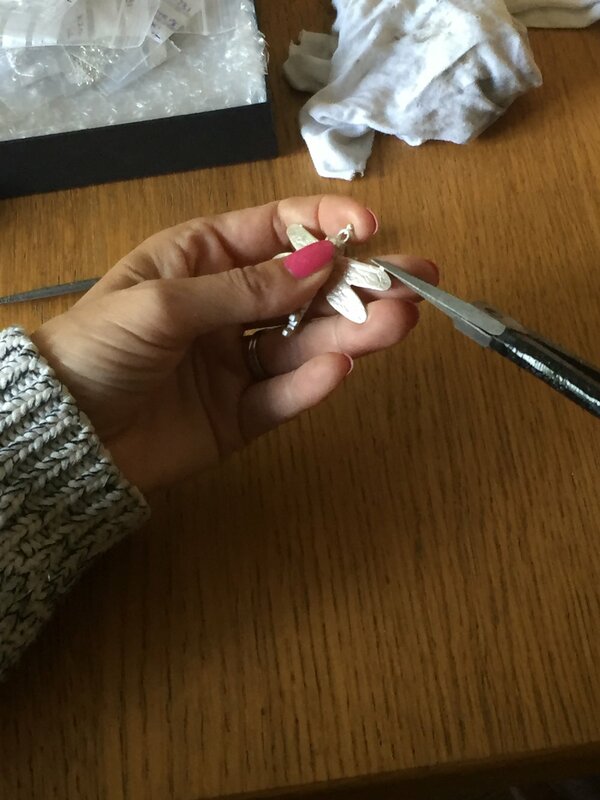 Your dragonfly will come complete with a handmade and finished chain. The chain has a lovely feel and is a good weight. Chain Length - The most popular chain length is 27 inches. This allows room for a charm bead or two to be threaded onto the chain if desired (see photo 1 and 6) and also means that the necklace can be slipped over the head without the need for a clasp. The other option is a more conventional 18 inch chain which will have a clasp and is not compatible with charm beads. Please just let me know which finish and chain length you require while checking out. I am so happy with this dragonfly. It feels so nice on and is incredibly tactile. I have lovingly polished every millimetre of its surface so that it is a pleasure to touch and wear. I hope you love wearing yours as much as I enjoyed every minute of designing, making and finishing him! 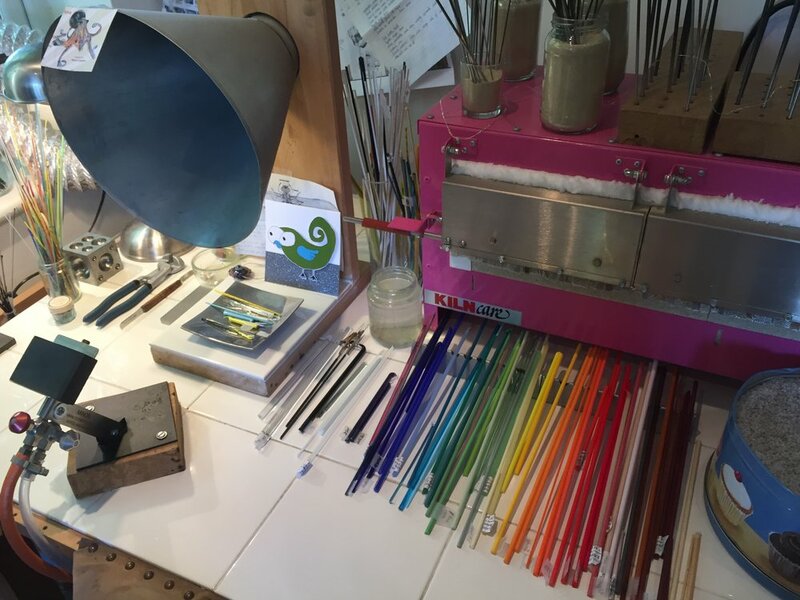 I make my dragonfly and other designs in my little workshop in Bray, Berkshire. 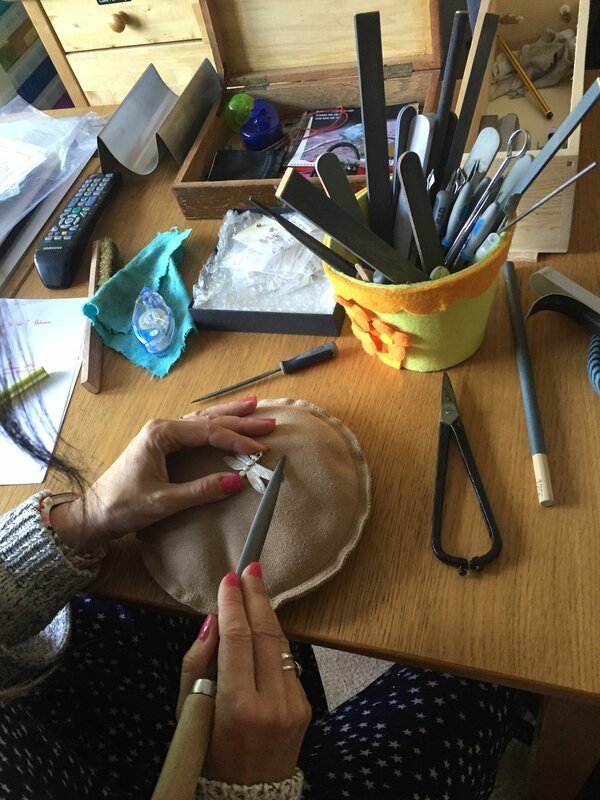 I love working with both glass and silver in my jewellery. 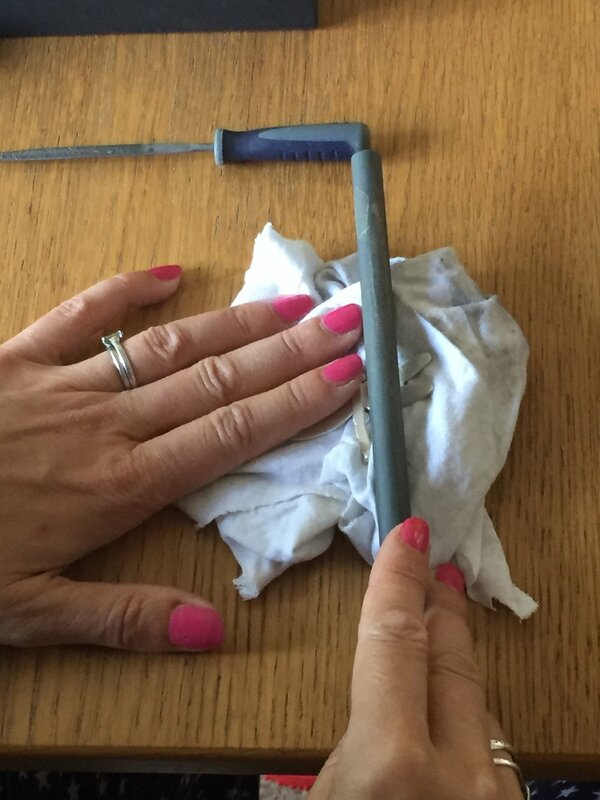 The best bit is seeing something pretty taking shape under your own hands!